Alexander J. “Al” Matyi III, 85, of Willow Street, passed away Tuesday, March 19, 2019 at LGH. Born in Brooklyn, NY he was the son of the late Alexander J. Matyi Jr. and the late Emma (Woglom) Matyi. He is the loving husband of Rose Mary (Walls) Matyi with whom he shared over 60 years of marriage. He was an electrician by trade and worked 31 ½ years at Temple University Hospital. Al was a longtime member of St. Philip Catholic Church in Lancaster where he volunteered at the annual carnival at the church and also helped count collection money each week. He was a knight for the Knights of Columbus, Council #867 where he volunteered at their weekly bingo. 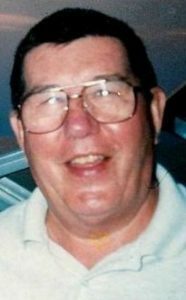 Al was a former Boy Scouts leader and enjoyed horseshoes, sudoku, bowling, doing his jigsaw puzzles and watching baseball and football games. In addition to his wife, he is survived by two sons, Vince Matyi of Levittown, PA, Joseph Matyi husband of Meg of Easton, PA; seven grandchildren, five great-grandchildren, a sister, Joyce Levitt of Snellville, GA. Also surviving is a son-in-law, Vernon Bottoms of Lancaster and a host of loving nieces and nephews. He was preceded in death by his son, Alexander J. Matyi, IV, daughter, Anne Louise (Matyi) Bottoms and a brother, Gerald Matyi. A Mass of Christian Burial will be held at 11AM on Saturday, March 23, 2019 at St. Philip the Apostle Catholic Church, 2111 Millersville Pike, Lancaster, PA 17603 with Rev. Lawrence Sherdel as Celebrant. Interment will follow in St. Joseph New Catholic Cemetery with full military honors. Family and friends will be received from 10-11AM at the church on Saturday. In lieu of flowers, contributions in Al’s memory may be made to Foundation for Women’s Cancer, 230 W. Monroe, Suite 710, Chicago, IL 60606 or to American Heart Association, 610 Community Way, Lancaster, PA 17603. It’s with great sorrow that I heard about Uncle Al’s passing. He was a fine man, great husband, good father and good grandfather. One of the nicest guys I ever knew. Now he’ll be playing his beloved horseshoes in heaven.